Hurt in an Uninsured Motorist Accident in California? A car accident is always a stressful, frustrating experience, but finding out that the driver who hit you has no auto insurance can make things much worse. Even though California law requires drivers to have car insurance, the Insurance Information Institute estimates that nearly 15 percent of all cars in the state do not have coverage. If you are in an uninsured motorist accident, you may wonder how you will pay for your car repairs and medical bills for any injuries. The good news is that you may have options. Your own insurance policy may cover the cost of the damages, or you may be able to file a personal injury lawsuit against the negligent driver. 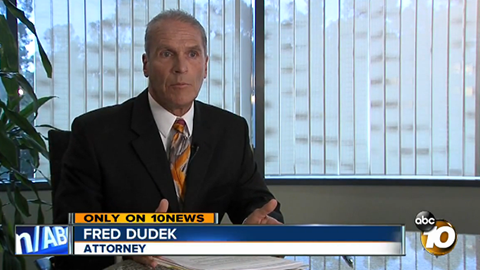 After years of working as a car accident attorney in San Diego, Frederick M. Dudek knows the challenges you face if you are hit by an uninsured driver. He also knows how to help you. He will work on your behalf to get the best recovery possible from the other driver and/or your insurance company. Are you wondering if filing a lawsuit in California after an uninsured motorist accident is in your best interest? 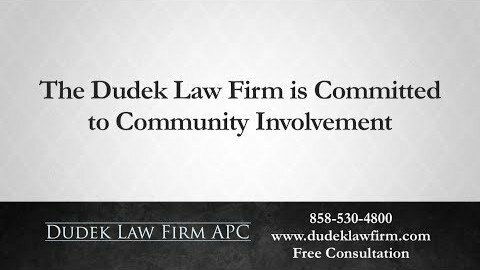 Attorney Dudek can answer your questions in a free initial consultation. Do I Need Uninsured Motorist Coverage in California? Most auto insurance policies include uninsured/underinsured motorist coverage (UM/UIM). This protects you from having to pay for repairs and medical expenses if a driver without insurance hits you. It also kicks in if the driver has too little to cover all the damages. When you buy car insurance in California, your insurance agent must include UM/UIM insurance unless you opt out in writing. However, insurance agents sometimes have people sign the UM/UIM insurance waiver as just another form. They do not explain the consequences to the policy holder. The policy holder may sign this waiver to keep the premium as low as possible. However, this small savings could result in a huge loss after an accident. 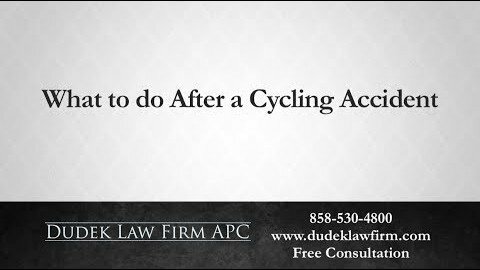 While California law does not not strictly require you to have a policy to cover you in the event of an uninsured motorist accident, it is highly advisable that you do. In general, your UM/UIM coverage should be equal to the amount of liability collision coverage that you purchase. If you have the minimum amount of insurance required by the state, that means your uninsured/underinsured motorist policy will have $15,000 of injury coverage per person, with $30,000 per accident and $5,000 of coverage for property damage. However, you can always purchase extra coverage in order to protect yourself and your family. It is worth the extra monthly cost to invest in higher rates of uninsured motorist coverage. This is because your rates will not automatically go up if you file a claim. By California state law, if you are not at fault for a car accident, whether you are hit by an uninsured driver or not, your insurance company cannot raise your premium. What is the Difference Between UM and UIM Insurance? When an uninsured driver hits you, your UM coverage covers all of the damages, up to your policy limits. However, unlike other states, California does require that you provide proof that the driver responsible for the accident is uninsured before your insurance company will provide you with a settlement. 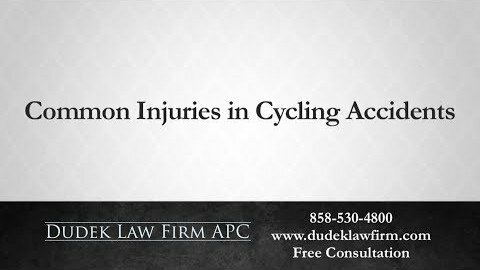 This means that it may be difficult to use your California uninsured motorist coverage after a hit-and-run accident. However, you can use your regular collision coverage to help you with the expense. Underinsured motorist coverage (UIM) works a little differently, though it is part of the same policy as your UM insurance. Many times, the total damages after a car accident might exceed the limits of the at-fault driver’s auto insurance policy. When that happens, the insurance company will only pay up to the policy limit. This could then leave you with more expenses to pay out of pocket. 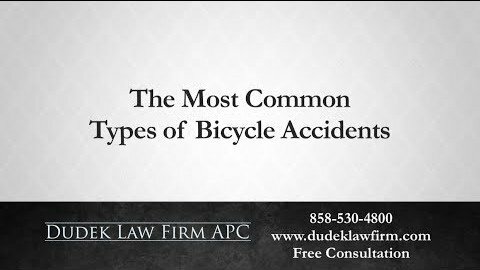 For example, the person that hit you might have the minimum insurance that California law requires, which is $15,000 for one person. However, your medical bills and car repairs could easily total $25,000. The at-fault driver’s insurance company will pay you the maximum of $15,000. This leaves you to pay the difference of $10,000. Your UIM insurance covers this extra expense, but it can only make up the difference between the limits of the at-fault driver’s policy and your policy. This means that if you have $20,000 of UIM coverage in the example above, your insurance company will only give you $5,000. This is the difference between the total payout you received from the at-fault driver ($15,000) and your policy limit ($20,000). Can I File a Personal Injury Lawsuit for an Uninsured Motorist Accident? If an uninsured motorist hurts you, you do have the option of filing a lawsuit to try to recover compensation. However, it does not always make sense to do so. Often, a person driving without insurance cannot afford the coverage. 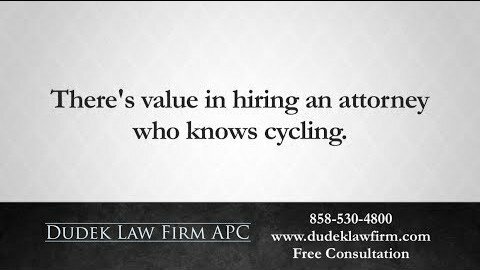 Therefore, the person likely has little money and few assets to use to pay you, even after a judgment. 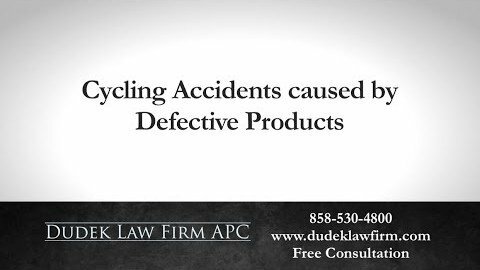 However, if a driver allows his or her auto insurance policy to lapse, or if he or she was simply negligent and did not buy insurance, a personal injury lawsuit may be in your best interest. 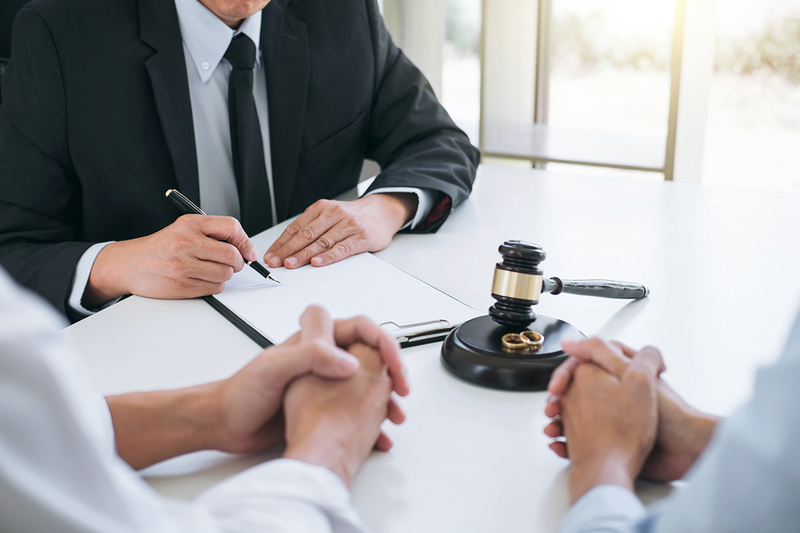 An experienced San Diego car accident attorney from our law firm can review your case and advise you on whether a lawsuit would help you pay for the damages after a crash with an uninsured or underinsured motorist. 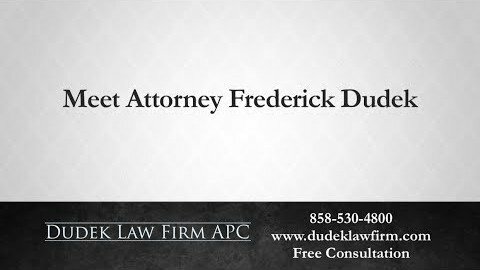 After an accident with an uninsured driver, call the car accident attorney at the Dudek Law Firm APC today. 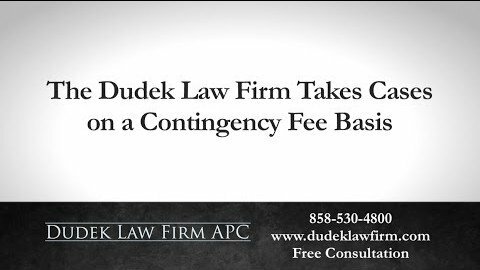 In a free consultation with Frederick M. Dudek, you can learn what you can do to help pay the damages caused by a collision with an underinsured or uninsured driver. 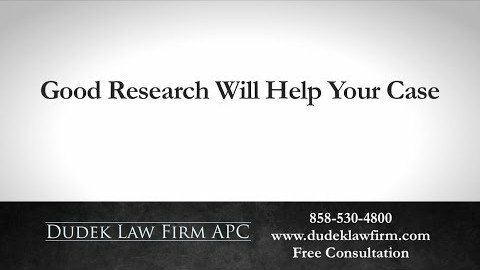 Fill out an online contact form or give us a call to schedule your free case review today.